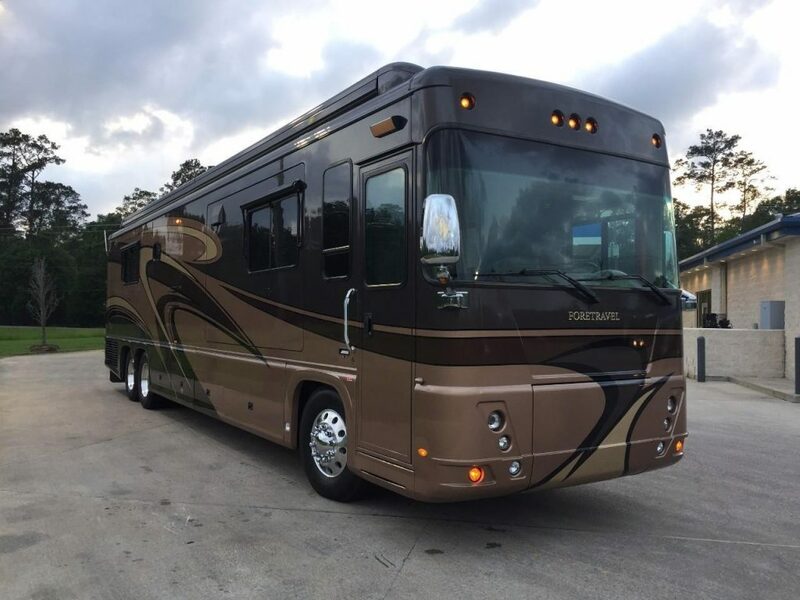 Foretravel, Inc. (Foretravel) is recalling certain 2012-2018 ih-45, Phenix and Nimbus motorhomes. The ball joints on the independent front suspension (IFS) modules can loosen and separate, leading to a partial loss of steering. A separated ball joint can cause a loss of steering control, increasing the risk of a crash. Foretravel will notify owners, and dealers will inspect clean, and secure the ball joint, free of charge. The manufacturer has not yet provided a notification schedule. Owners may contact Foretravel customer service at 1-800-955-6226, option 3.